Almost 2 years after TV’s most appealing drama series, Showtime’s Homeland aired its pilot (October 2nd, 2011), Vogue is finally giving its seal of approval by putting Claire Danes, the feminine lead of the series in question, on their August 2013 cover. There’s an interesting side to this, though: the inside pictorial, signed by Vogue’s most epic imagist, Annie Leibovitz, also includes Homeland’s male lead played by Damian Lewis. Fear not, you didn’t miss the series 3rd season premiere as this was scheduled for September 29th, but isn’t it strange to find this lovely, extremely talented actress covering the American Vogue’s age issue? – she’s only 34, that must be a record even for Vogue’s usual impertinence! And this is where I’ll get philosophical – briefly, as you know I can’t keep my voice down when something bothers me. 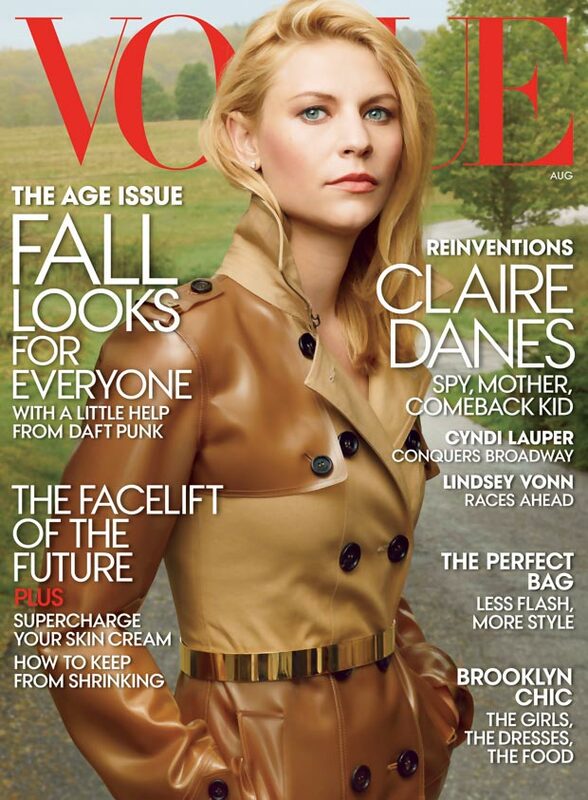 So what makes Claire Danes the appropriate subject for an age issue when, like I said, she’s just 34? Would it because she just had her first child at 33? And in fashion’s obtuse standards she officially ended her glam life and entered a new chapter, housewife-ish and old-ish? Sure, both she and her co-star, Damian Lewis received serious recognition with numerous awards and accolades, so it may have been a trigger for Anna Wintour, to turn her eyes back on the TV screens and, once more, pick her leading lady for a cover? Again, yes, as Blake Lively made her first appearance on the cover of Vogue two years after Gossip Girl premiered on our TV sets. 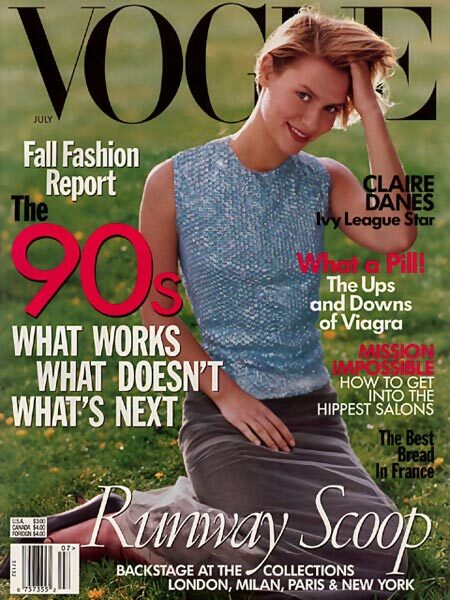 But that was then and this is now: Claire Danes returning in Vogue after 15 years. Also in a full nature backdrop, just like Meisel did back in 1998. Now it’s a story about coming-backs and reinventions, about spies and national threats. In more ways than we care to admit, Carrie Mathison is the new Jack Bauer. 24 lived for 8 seasons. Will it be the same for the new drama concocted to show the efforts and intrigues behind a National Security Service? It’s rather strange to know that those who fight for the Homeland Security have either a destructive addiction (like Jack Bauer) or a bipolar disorder (like Carie Mathison) and can be either cancelled by its superiors (remember Jack Bauer?) or sent away for electroshock therapy (Homeland). 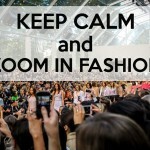 But enough digressing, let’s get back to fashion and Vogue! Katina Le Kerr is listed as being Homeland’s main Costume Designer. For further references, she also did Dawson’s Creek Costume Design so you can’t really ask for outstanding fashion from Homeland. This is not James Bond, after all! However, the pictorial, brilliantly executed by Annie Leibovitz, is more like a series of screen caps from the actual series. In which case, I feel bound to look beyond the actual fashion, as I previously stated, this particular TV series is not style-proficient but more like a quick adrenaline double shot infused with elbow-deep psychology, all on fast-forward so we won’t have the time or the nervous availability to reflect deeper and further. All the actors involved are outstandingly talented and devoted, giving all their interpretative value to the characters. 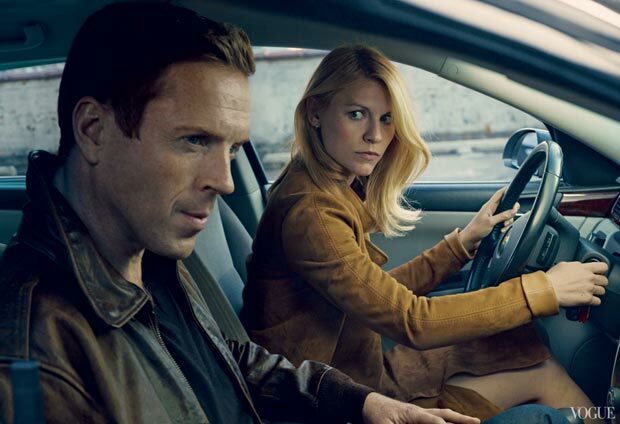 If professionalism is a fashion, then Homeland’s cast and crew is competing for the leading trends. I see the wink there. Cindy Lauper would have been more appropriate age wise that is. Not career wise. Someone who’s only 34 on the cover of Vogue’s age issue is so idiotic and set another bad example for young girls. Plus it is very women unfriendly as well. Just saying! There’s something else bothering me. Claire “the come back kid” Danes. I read she was desperate for work. She didn’t get parts for two years. She almost thought of another craft. Homeland saved her to make that choice. Why is it that such a great actress couldn’t get parts anymore? I know why. As many other very talented actresses has disappeared the last decade. Not Hollywood-Red-Carpet;Cover material enough! I have a reason to boycott many Hollywood crap for this reason. Rumor has it these two are not get along so well this season. Since Claire wants only to shoot her scenes and rush off back home to her baby boy. While Damian hangs out with with the cast and crew. But who can blame a young mother to want to rush off to her first child? I can’t. The photo on the bed…..where is Claire’s right leg? Ah, in the end Abu Nazir’s successor’s revenge! The got both of them. In bed.